Population and Immigration Authority prevents entry to Israel senior member of Palestine Solidarity Campaign. The Population and Immigration Authority on Friday afternoon prevented the entry to Israel of Kamal Hawwash, a senior member of the anti-Israel group Palestine Solidarity Campaign (PSC). PSC is the largest and leading de-legitimization organization in Britain and one of the largest in Europe in general. 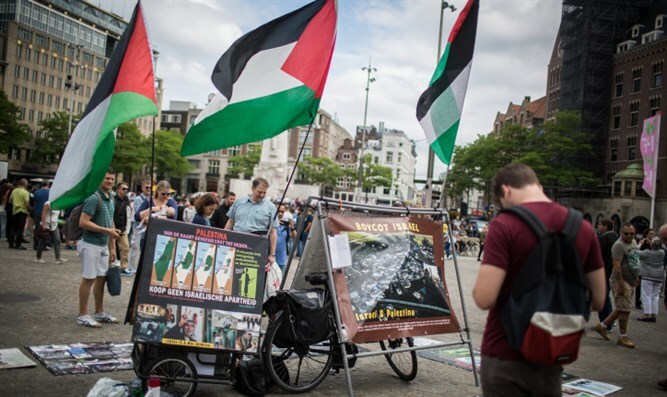 The organization works closely with other de-legitimization organizations to promote boycotts and other activities against the State of Israel. The organization's members took part in the Mavi Marmara flotilla in 2010. In mid-March, Israel denied entry to PSC's chairman, Hugh Lanning. The Population and Immigration Authority said that in light of the organization's anti-Israel activities, it was decided to deny Hawwash's entry. He is expected to fly back to Britain within 24 hours. Interior Minister Aryeh Deri said, "We are again witnessing attempts by those who act to boycott Israel to enter its borders and thus strengthen their operations...Those who act against Israel and do everything to harm its security must understand that we are leading a resolute policy that will no longer ignore activists who undermine our existence."